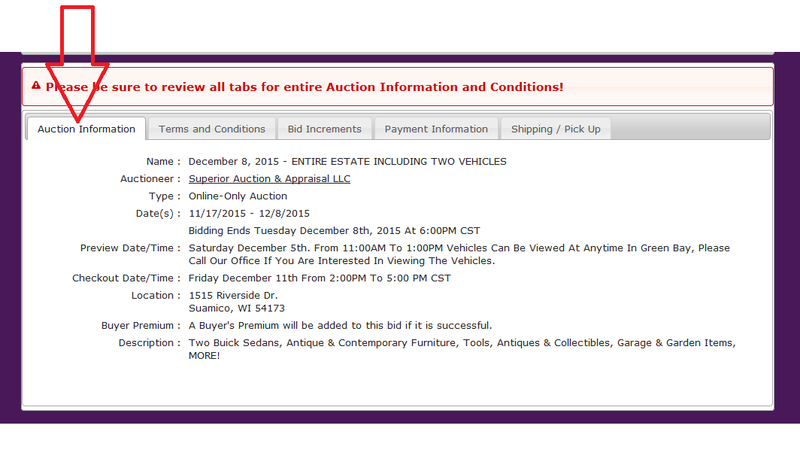 Auction Details - SUPERIOR AUCTION & APPRAISAL LLC. 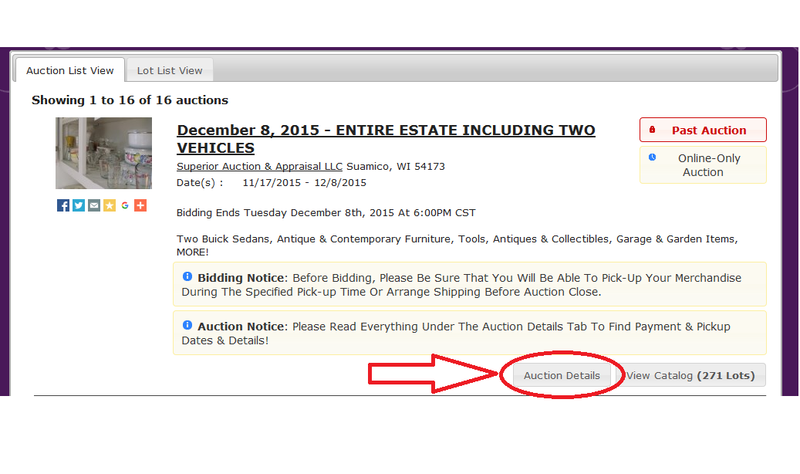 Where To Find All Of The Important Information You Will Need To Know For Every Auction. 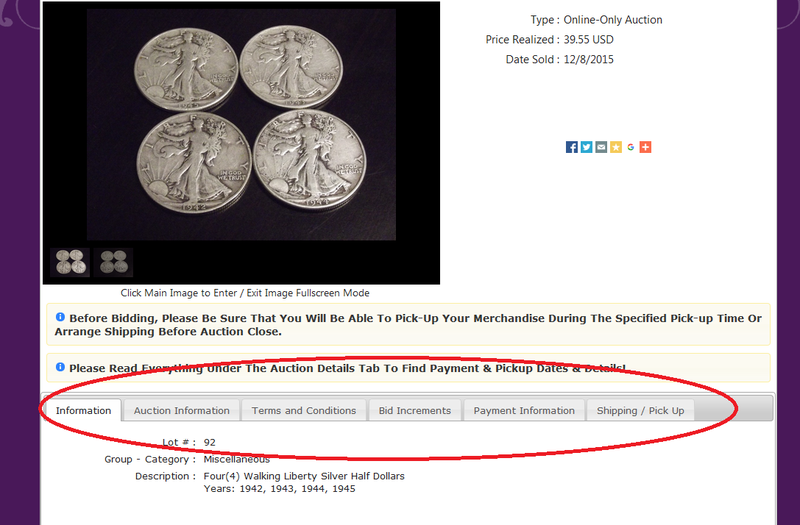 Auction Details Can Be Found By Clicking On The Auction Details Button Or Is Also Found At The Bottom Of Every Item Page. The Next Tab Is "Terms and Conditions". 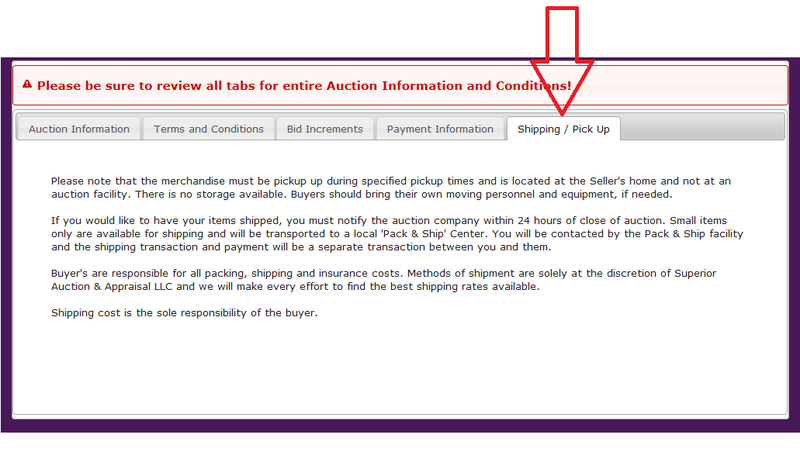 This Is Where You Will Find The Terms and Conditions For The Selected Auction. 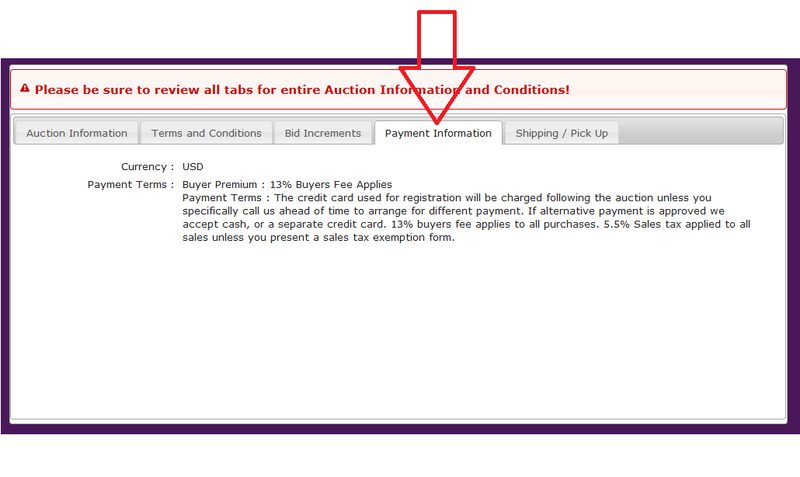 The Next Tab Is "Bid Increments". 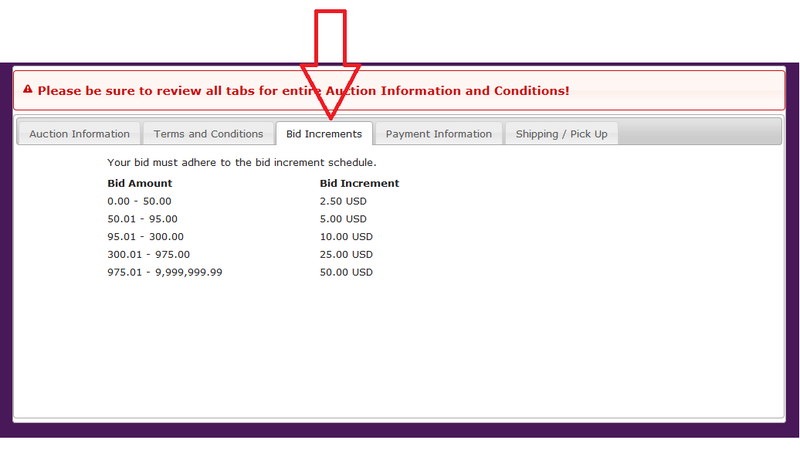 This Is Where You Will Find The Increments In Which Bidding will Take Place. The Next Tab Is "Payment Information". 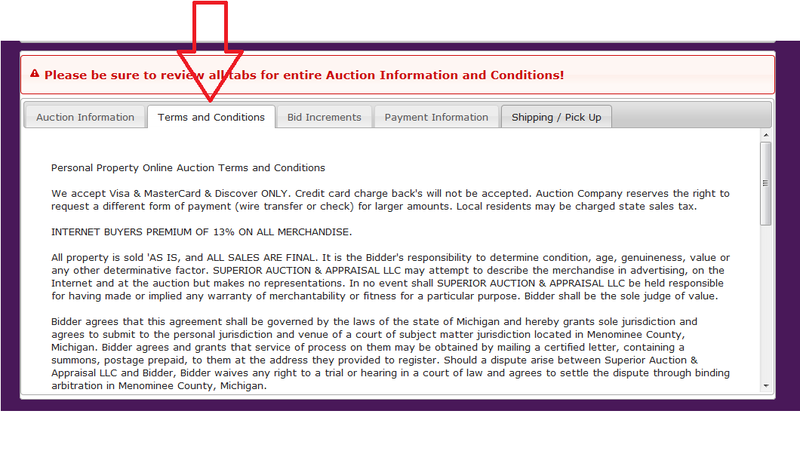 Here You Will Find All Payment Information, Including Payment Types, Buyer's Premium, & Sales Tax Info.